Beginning in 2017, the Indiana Language Roadmap is developing and implementing a statewide plan to strengthen world language learning, with collective input from stakeholders across business, education, health care, and government sectors. This two year project is supported through the Language Flagship, an initiative funded by the Department of Defense through their National Security Education Program and administered by the Institute for International Education. The Indiana Language Roadmap project is a collaboration between the leadership team, advisory board, regional leaders, and "Community of Transformation" regional committees. The advisory board consists of seven members who represent multiple sectors across the state and are providing input throughout the writing and implementation of the Roadmap. There are ten regional leaders who will work collaboratively with the project team to write the Roadmap and further its implementation. The regional leaders are also responsible for recruiting “Community of Transformation” committees for their region to provide additional input on the strengths, challenges, and interests and to ensure multiple perspectives are reflected in the Roadmap. 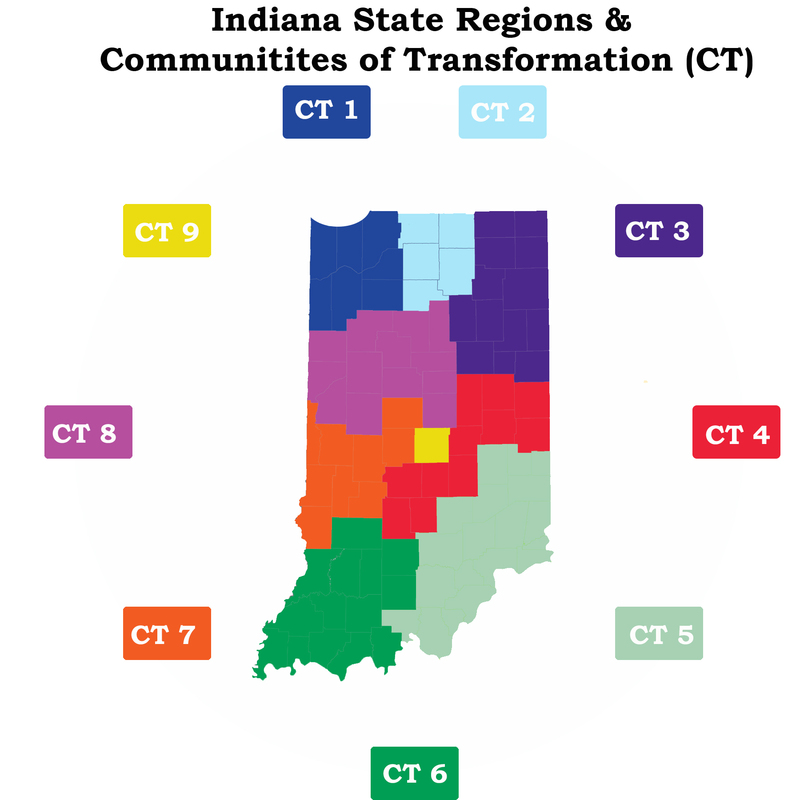 Map of Indiana state regions and communities of transformation. They are based on the business development regions established by the Indiana Economic Development Corporation. The Indiana Language Roadmap project offers multiple points for stakeholders to provide input on the design, final version, and implementation of the statewide plan. It also includes avenues to connect Indiana knowledge with national expertise. You can read the official press release to learn why supporters are excited about the Indiana Language Roadmap project. For more information about the project or how to get involved, please contact us at LROADMAP@indiana.edu.